The Grand Adventure - Come adventuring with us! 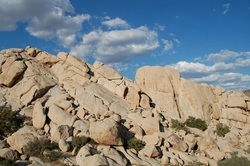 After picking everyone up in Los Angeles, we head towards Joshua Tree National Park, where we will be camping for the night. We'll stop for groceries on the way, and arrive early in the afternoon. There are great bouldering/rock climbing opportunities here, a number of hikes to abandoned mining operations, and great stargazing. Day 2 starts with breakfast in camp followed by a long drive to the Grand Canyon, arriving mid-late afternoon, just in time to set up camp and take a short hike before sunset. Day 3 begins with a great breakfast followed by any number of activities: hiking, various tours of the Canyon (by mule and helicopter), or just a lazy day at camp. There are showers available at this campground, a grocery store and a restaurant. Today we take a scenic drive to Zion with a stop at the Glen Canyon Dam for a swim in Lake Powell. 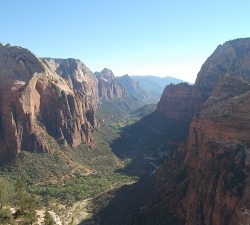 We'll arrive to Zion in time for dinner, with plenty of time to explore the park in the morning. There is a grocery store and a great cafe here in addition to one of the most amazing hikes in the southwest, Angel's Landing. After a gourmet breakfast and a little more exploring in Zion, we head to Vegas, arriving in the late afternoon. 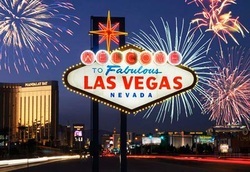 You'll have the evening to take a limo ride, tour the casinos, and maybe go clubbing until the wee hours of the morning, but not too late! 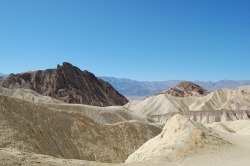 The tour departs early the next morning for Death Valley National Park. We leave early from Las Vegas to beat the heat in our next destination, Death Valley. We'll make a stop at the lowest point in North America along with some other great parts of the park before heading North towards our camp for the night. We wake up this morning in the eastern sierras, a country filled with strange landscapes, ghost towns, abandoned mines and hot springs. We won't be able to see all of it, but maybe just enough to entice you back for a more extensive exploration later. 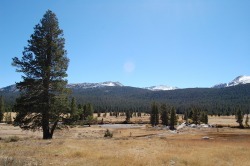 We spend the afternoon in Tuolumne Meadows and then head towards Yosemite Valley for our camp, and home, for the next 2 nights. 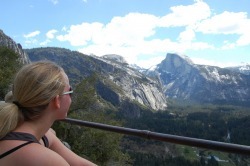 Day 8 - Yosemite Valley - Half Dome, Glacier Point, El Capitan . . .
Today we spend all day in the majestic Yosemite Valley, with tons of hikes and activities. There are flat hikes to beautiful lakes and near vertical climbs towards mountain-tops with fantastic views of the Valley. You could spend all day lounging around camp, but it's best to make the most of this day in one of the most beautiful places in North America. 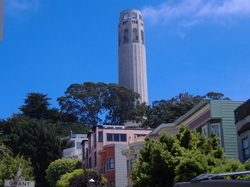 Day 9 - Explore San Francisco! After a relaxing morning in Yosemite, we load up the van and head for our final stop, San Francisco! The views of the Yosemite Valley on the way out are amazing, and we will stop to take some pictures of Half Dome before we exit the park. Want to take a trip with us? Great! Unfortunately this trip isn't scheduled for the 2011 season. If you're interested in dong this trip as a custom tour, please contact us and we will do everything we can to accommodate your group. The full price for this trip is $850. To make a payment for the deposit amount, or make a full payment, please contact us at booking@sw-adventures.com, or give us a call at 800-851-6018.